In Tacoma, a trespassing conviction could cause you many problems with lasting repercussions. If a person knowingly and unlawfully enters or remains on a Tacoma premises belonging to someone else, they could be charged with criminal trespassing in Washington. This crime is often committed in relation to Tacoma commercial buildings, but it may also apply to trespassing on construction sites, empty lots, and private residential homes. Trespassing can sometimes be the result of a simple misunderstanding, but even these charges should be treated seriously. For example, a person charged with criminal trespassing may have forgotten their identification, or may not have been aware that they were on private property when they were arrested. These facts still need to be presented to the prosecutor, so you should discuss the details with one of our qualified Tacoma trespassing lawyers. Law enforcement sometimes places an emphasis on prosecuting criminal trespassing cases, especially in areas frequented by the homeless and teens. These areas often include parking lots near places of business like stores and shops. 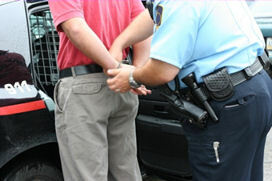 If you think you were unfairly targeted by law enforcement, you should relate this information to our Tacoma trespassing attorneys in detail. A Tacoma trespassing charge can either be in the form of a misdemeanor or a gross misdemeanor, depending upon the circumstances. If you're convicted of a gross misdemeanor, you could spend a year in jail while facing fines of up to $5,000. You will also incur a criminal record that could damage your reputation, your family, and future prospects. At the Law Office of Jason S. Newcombe, our team of lawyers will fight to have your trespassing charges dismissed. You should contact a Tacoma trespassing lawyer before talking to anyone in law enforcement, just to make sure that your rights are being fairly acknowledged. To prepare a defense against trespassing charges, you must have knowledge of the law, even if you were charged with this crime unfairly. Legal experience is another key factor that can help you build a resolute defense, which is something our Tacoma litigators are proud to offer. Our Tacoma trespassing lawyers will seek to resolve your case as efficiently and quickly as possible. Dealing with the courts and prosecutors is often tedious, but we will work tirelessly to ensure that you get to tell your version of the events. In many of the criminal trespassing cases our lawyers handle, the property owner and defendant had a simple misunderstanding or there was a case of mistaken identity. With over 30 years of collective experience, our Tacoma lawyers know what details to focus on when preparing for a criminal trespassing case. Contact our Washington law office today and let our Tacoma attorneys help you defend yourself against serious trespassing charges.